beIN Sports HD 4 Max is encrypted again after being temporarily unencrypted on 12604.00MHz, pol.H SR:27500 FEC:2/3 SID:2204 PID:471[MPEG-4] /472 French,473 French (Irdeto 2 & VideoGuard). BeIn: beIN Sports HD 4 Max is now encrypted in Irdeto 2 & VideoGuard (12245.00MHz, pol.V SR:27500 FEC:2/3 SID:5308 PID:471[MPEG-4] /472 French,473 French). A new channel has started in DVB-S2 Clear: beIN Sports HD 4 Max (Qatar) on 12604.00MHz, pol.H SR:27500 FEC:2/3 SID:2204 PID:471[MPEG-4] /472 French,473 French. BeIn: beIN Sports HD 4 Max (Qatar) is now transmitted Free To Air (12245.00MHz, pol.V SR:27500 FEC:2/3 SID:5308 PID:471[MPEG-4] /472 French,473 French). A new channel has started in DVB-S2 Irdeto 2 & VideoGuard: beIN Sports HD 4 Max (Qatar) on 12729.00MHz, pol.H SR:27500 FEC:3/4 SID:5504 PID:641[MPEG-4] /642 Arabic,643. BeIn: beIN Sports HD 4 Max is encrypted again after being temporarily unencrypted on 12245.00MHz, pol.V SR:27500 FEC:2/3 SID:5308 PID:471[MPEG-4] /472 French,473 French (Irdeto 2 & VideoGuard). BeIn: beIN Sports HD 4 Max (Qatar) broadcasts in DVB-S2 Clear on 12245.00MHz, pol.V SR:27500 FEC:2/3 SID:5308 PID:471[MPEG-4] /472 French,473 French. BeIn: New frequency for beIN Sports HD 4 Max: 11180.00MHz, pol.V (DVB-S2 SR:27500 FEC:2/3 SID:20104 PID:481[MPEG-4] /482 French,483 French- Clear). BeIn: beIN Sports HD 4 Max has left 11180.00MHz, pol.V (DVB-S2 SID:20107 PID:2061[MPEG-4] /2062 French,2063 French,2064 French), it is no longer transmitted by satellite in Europe. 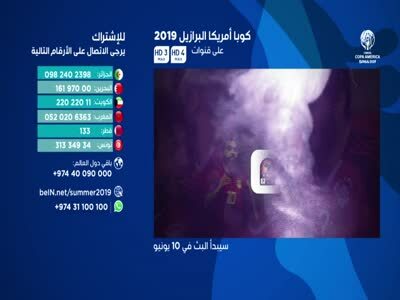 BeIn: A new channel has started in DVB-S2 Clear: beIN Sports HD 4 Max (Qatar) on 11180.00MHz, pol.V SR:27500 FEC:2/3 SID:20107 PID:2061[MPEG-4] /2062 French,2063 French,2064 French.